from L's photobook!. . 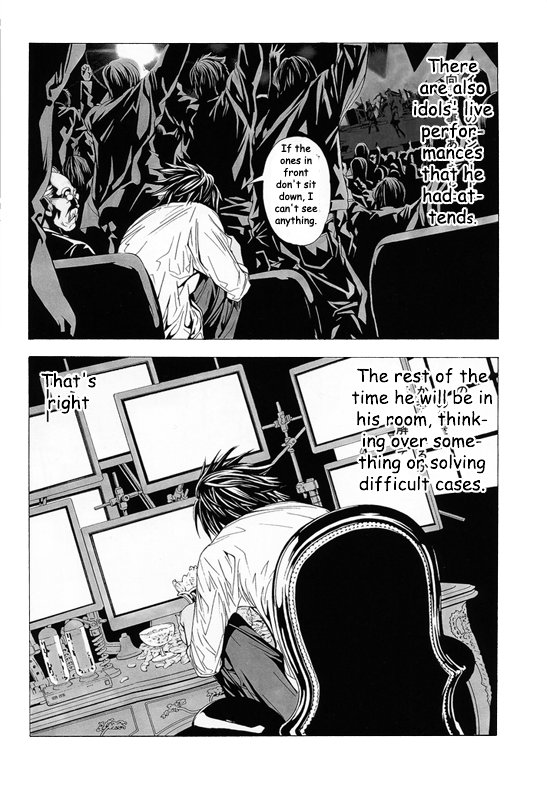 HD Wallpaper and background images in the Death Note club tagged: death note l manga obha obata lawliet. 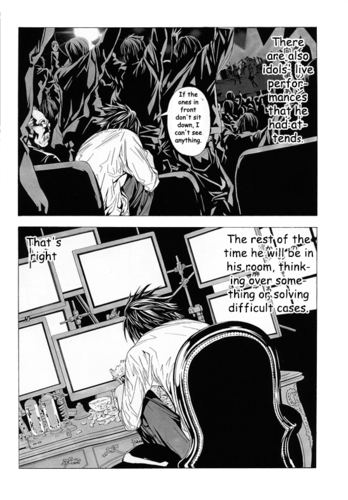 This Death Note photo contains krant, tijdschrift, tabloid, vod, papier, rag, anime, grappig boek, manga, cartoon, and stripboek. There might also be teken, poster, tekst, bord, and schoolbord.